Lisa helped kick off the forum as a panelist alongside fellow community development experts from around the country, with keynote speaker and Federal Reserve Chairman, Jerome H. Powell, taking the stage following the morning sessions. “Poverty remains a challenge in many rural communities. Indeed, 70 percent of the 473 ‘persistent poverty’ counties in the United States are rural. Unemployment and mortality rates remain high in these communities. Along with lower incomes and wealth, the rate of business start-ups in these areas is lower. 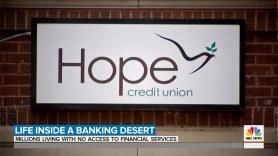 And their residents have less access to financial services,” stated Powell. 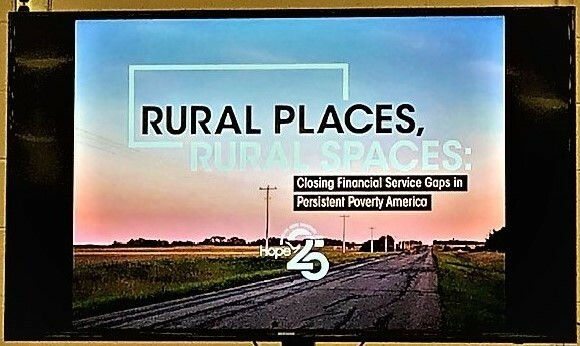 Approximately 250 participants, including students from Mississippi Valley State University and other local universities, spent the day examining the value of CDFIs in tackling persistent poverty in rural America. The panelists also highlighted opportunities to attract greater investment in areas that are now "bank deserts." Lisa made the point that bank investment in rural America continues to fall short. Lisa encouraged CDFI leaders to advocate for significantly larger investment in rural communities, stating, "We know how to do this. We need the hands that are smart about moving money. CDFIs will push dollars into where they are most needed like the Delta and other rural places. We need to think in billions." Prior to the forum, Lisa and Donna had the opportunity to tour the Delta region, experiencing, as Lisa said, its “pain and beauty.” Their visit to the National Civil Rights Museum at the Lorraine Motel in Memphis, the site of Martin Luther King Jr.’s assassination, was a poignant reminder of the importance of the CDFI mission. While their visit to the Eastmoor Estates, an affordable housing community that HOPE has helped revitalize, powerfully demonstrated the transformational impact CDFIs have. Lisa and Donna also experienced Mississippi's deep musical roots, visiting the B.B. King Museum and joining in a singalong with Hollis Watkins, a prominent civil rights activist who wrote and sang freedom songs, when he spoke to the group about civil rights the night before the forum. Watch a recording of the “Rural Places, Rural Spaces” forum here. Learn more about the gap in bank investments for rural CDFIs here.